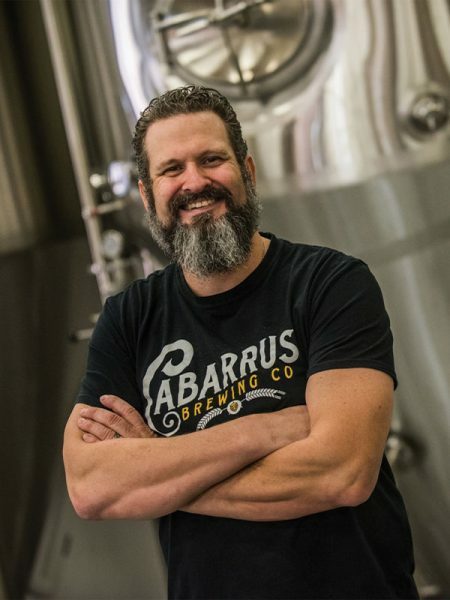 I am the director of brewery operations and head brewer at Cabarrus Brewing Company in Concord, N.C. I started in the brewing industry in the early 90s at a brewpub in Charlotte, then gave up brewing during the craft brewing crash of the late 90s and started a family. We opened Cabarrus Brewing in 2016 and I’m excited about finally realizing my dreams. What’s new at Cabarrus Brewing? We have a group of core beers that we keep on tap year-round. We also have a 3-bbl system for taproom-only offerings, which allows us a lot of flexibility in brewing different styles. There is always something new and fresh in the taproom. I love the camaraderie. It is the only industry I’ve ever been in that, as a whole, feels like everyone is in it together. Chicken wings and beer, duh! Alaska. The most beautiful place I’ve ever been. They don’t skimp on the beer up there, either. Spending time with my family, Carolina Panthers games, camping, and gardening.